Williams new merchandisers are the most energy efficient ever. 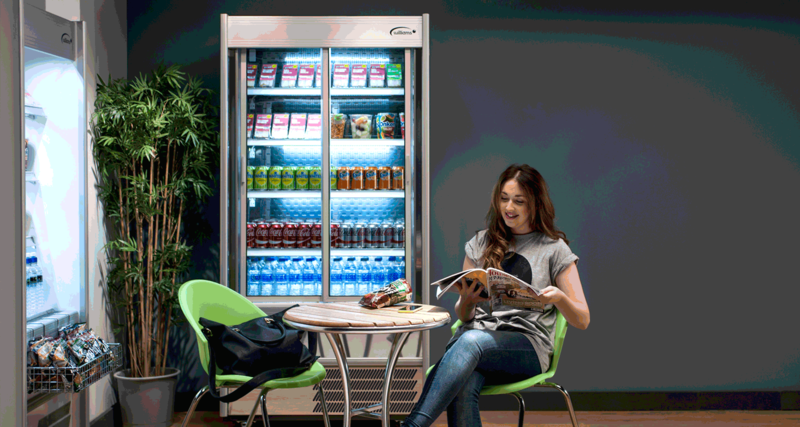 Williams’ latest multidecks, the G Series, are our greenest merchandisers ever. Incorporating the standard energy saving features that have made Williams merchandisers some of the most popular in the industry, the G Series also includes new upgrades to further boost efficiency savings. These are the first Williams multidecks to use a hydrocarbon refrigerant as standard, which helps to reduce energy consumption and has a low Global Warming Potential and zero Ozone Depletion Potential. Each unit uses a refrigerant charge of less than 150g, which removes the need for site inspections. The G Series is designed to create an appealing display for a wide range of products. It comes fitted with self-closing front sliding or hinged glass doors as standard and has panoramic glass side panels to enhance visibility. The low emission thermic glass is double glazed and has inert gas between the panels, which helps to further improve efficiency. The shelves are adjustable to allow operators to alter the interior space to their exact requirements. Other energy saving features include low energy fans and LED strip lights, as well as Williams’ innovative aerofin ticket strips. These control the flow of air inside the cabinet, stopping cold air escaping when the door is opened. As well as keeping the interior temperature stable, they further reduce energy use. Taken in combination these features help to deliver energy savings of over 20% compared to traditional open-fronted merchandisers. A full range of customisation options is available, including solid or glass rear loading doors, LED strip lighting under each shelf and a huge range of colours and finishes. The G Series can be personalised further with Williams’ Chameleon vinyl wrap service. This uses hard wearing, food-safe vinyl to cover the units, allowing the equipment to fit in with the design of the business. Williams provides an in-house graphic design service if required, alternatively you can provide your own designs. The G Series is available in three sizes (widths). The G70 is the smallest and ideal for tight spaces with a width of just 710mm wide but with an impressive total display area of 1.32m², while the largest G125 is 1250mm wide but with an area of 2.48m².